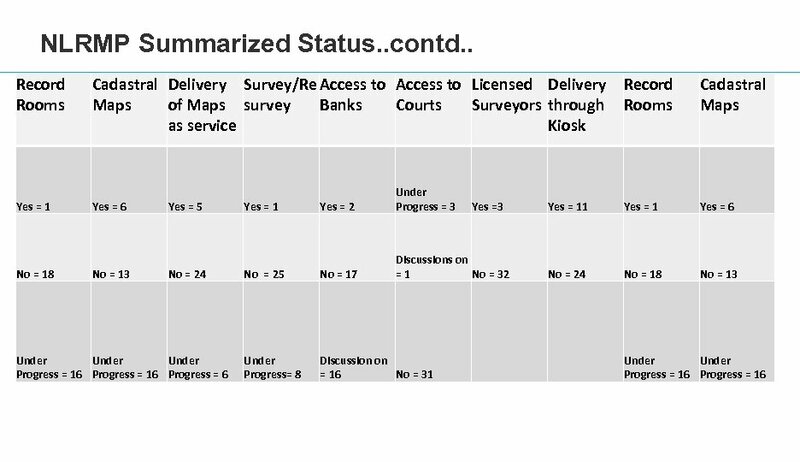 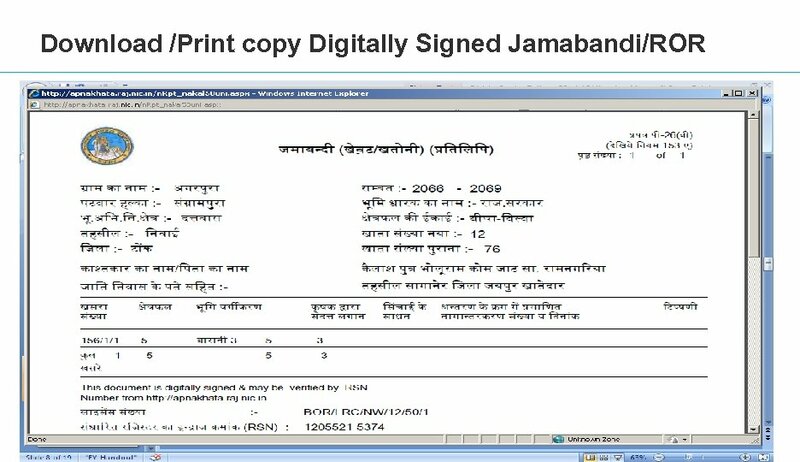 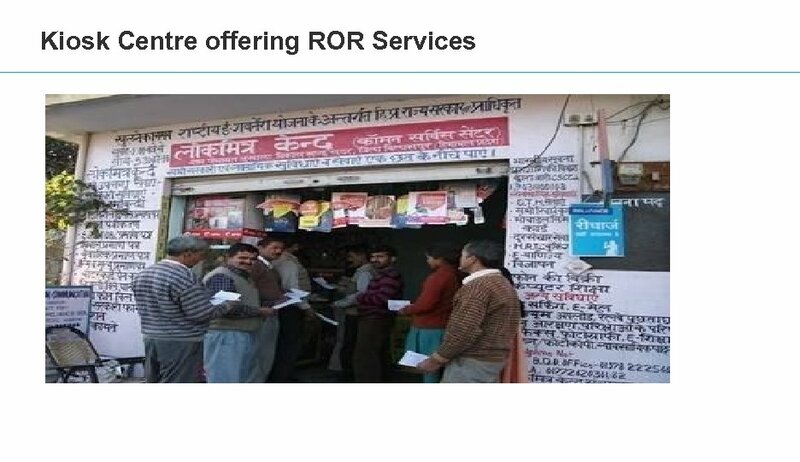 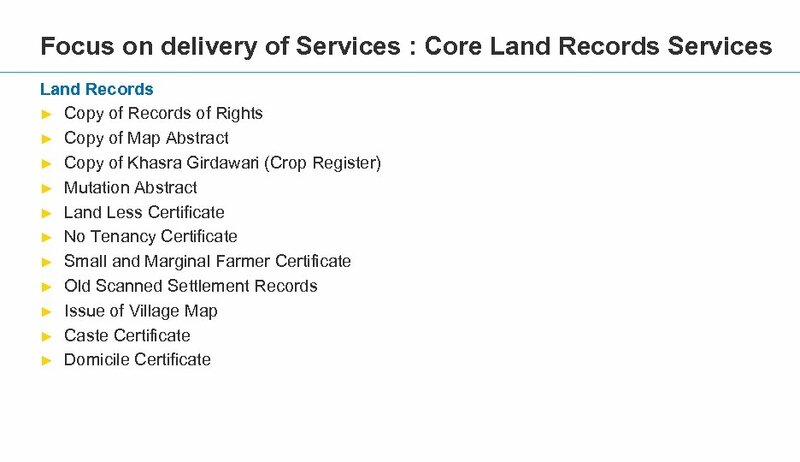 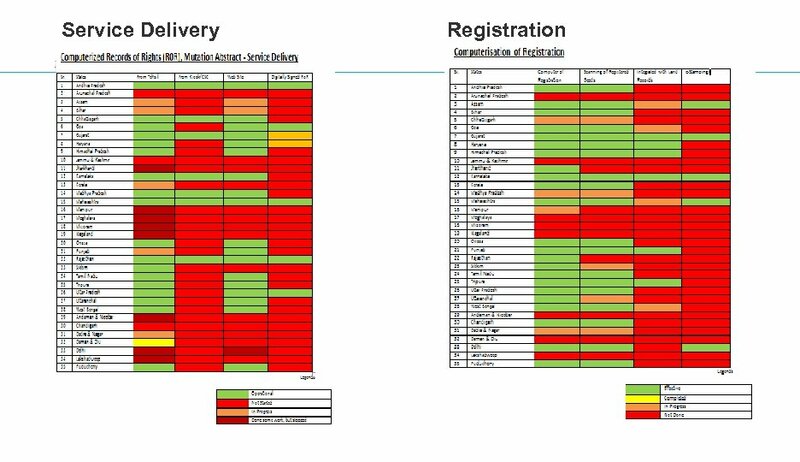 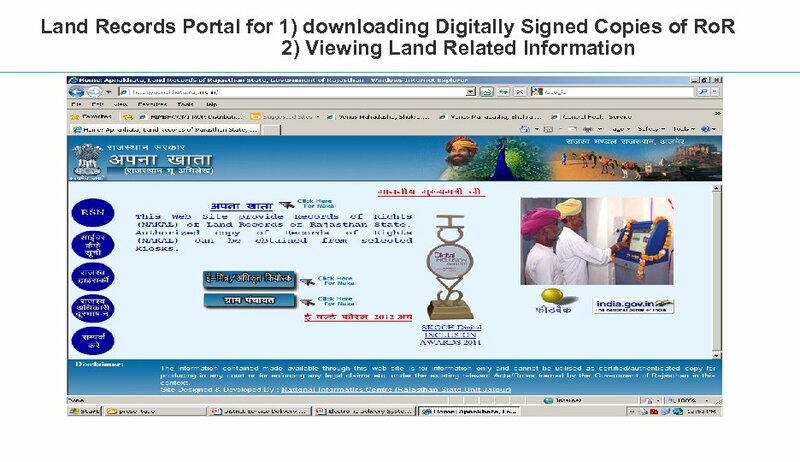 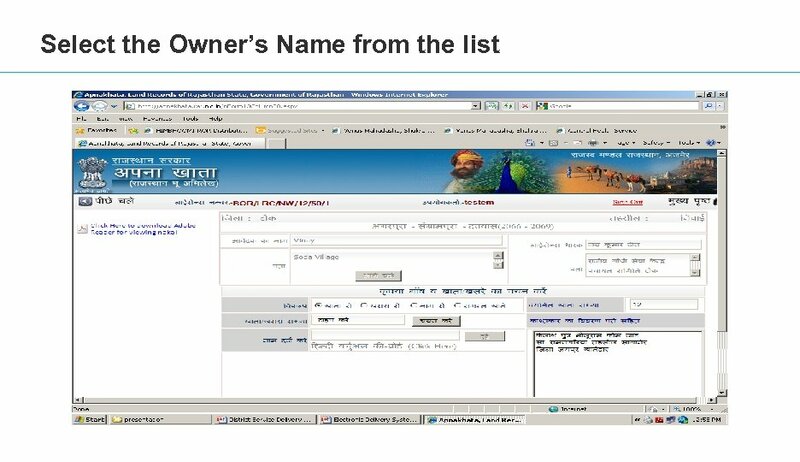 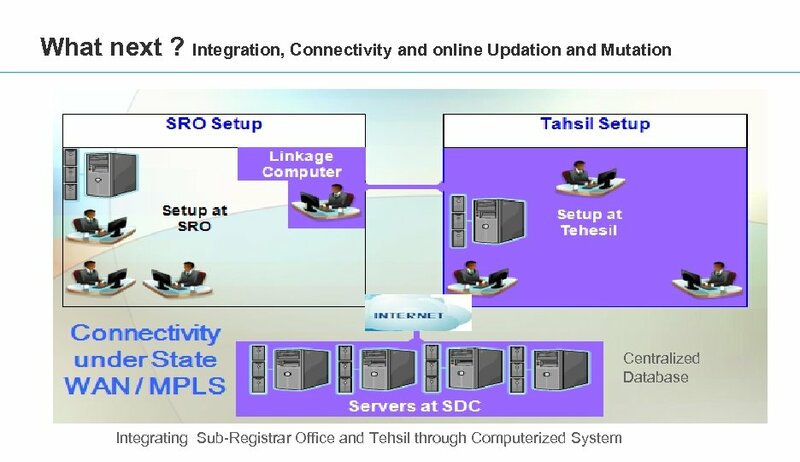 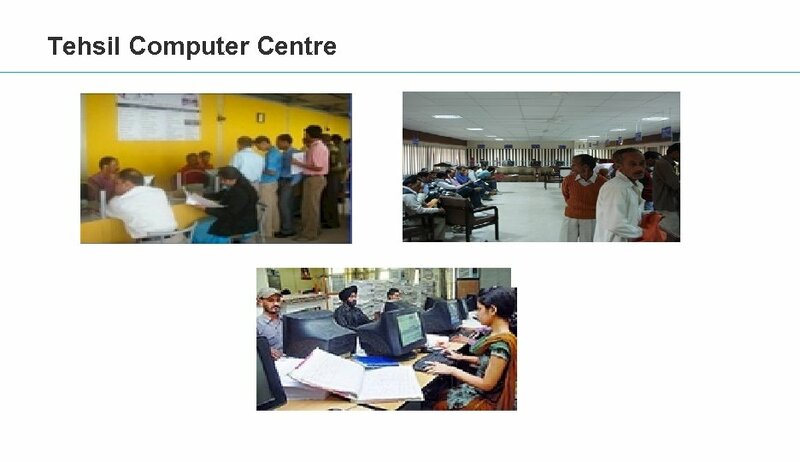 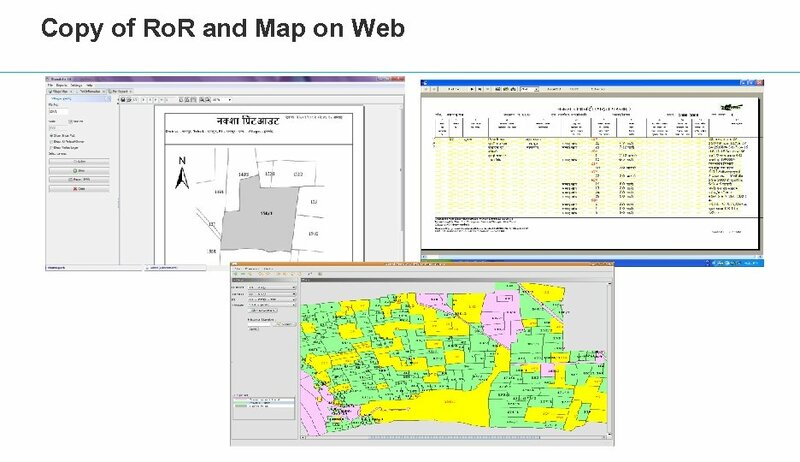 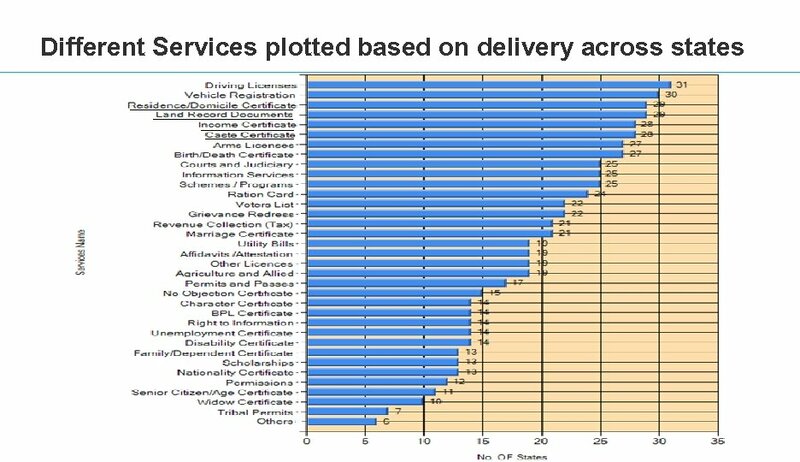 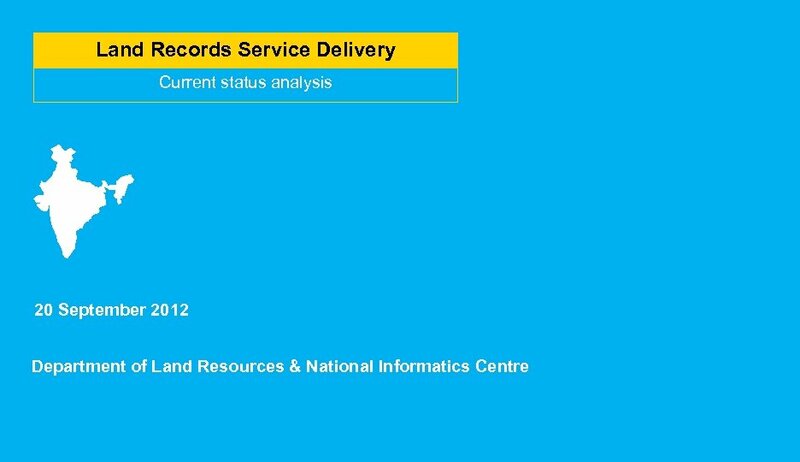 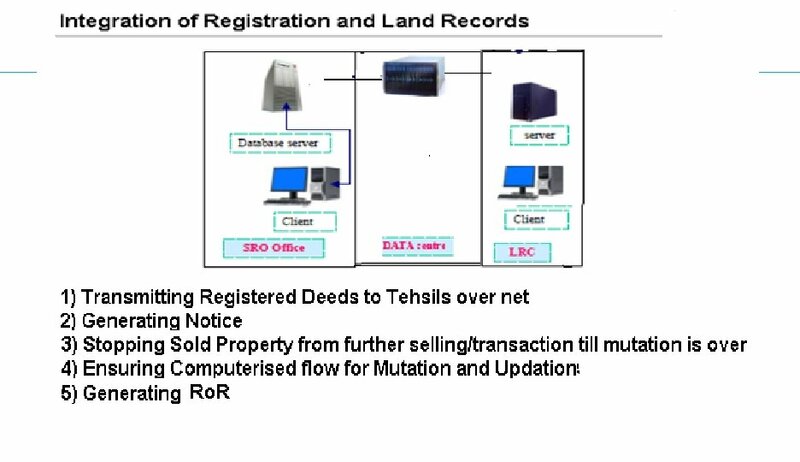 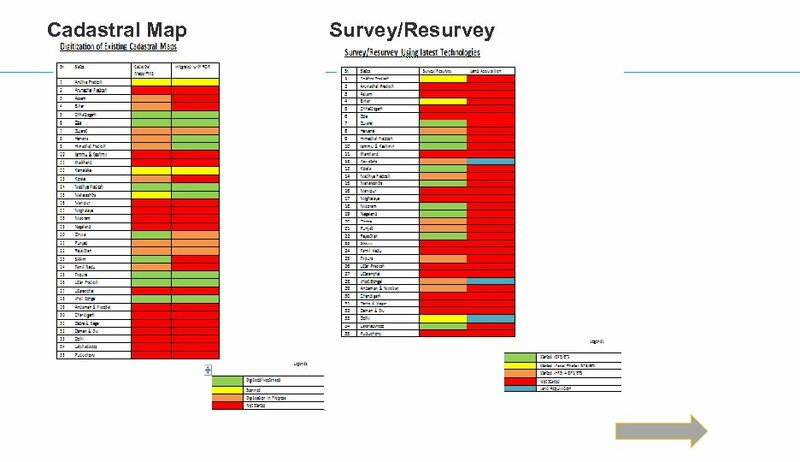 Focus : Land Records Services ► Data Fully Ready in 20 Major States Total Tehsils/ Taluks/ Mandals – 5846 ► Distribution of Computerized ROR Copies and other information through three modes ► ► Tehsil/Taluks Computer Centre – 4524 (across all states except in North States) ► Kiosks/Common Service Centres are Operational – Andhra Pradesh, Gujarat, Goa, HP, Karnataka, Kerala at Town /Village Level ► Digitally Signed Copies of Ro. 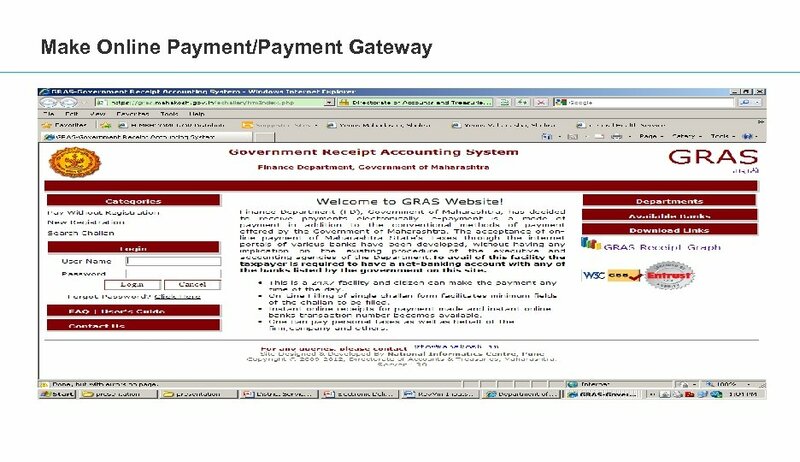 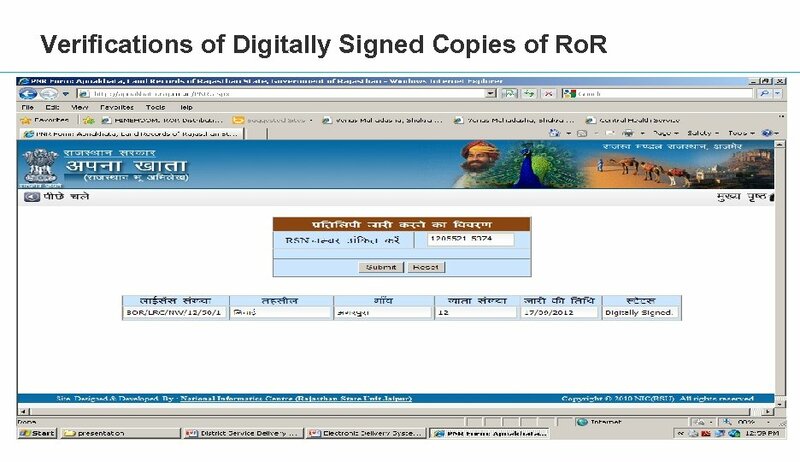 R being given – AP, Rajasthan, UP, Goa, Maharashtra and Karnataka ► Nominal Service Charge Rs 10 -15 per copies being levied. 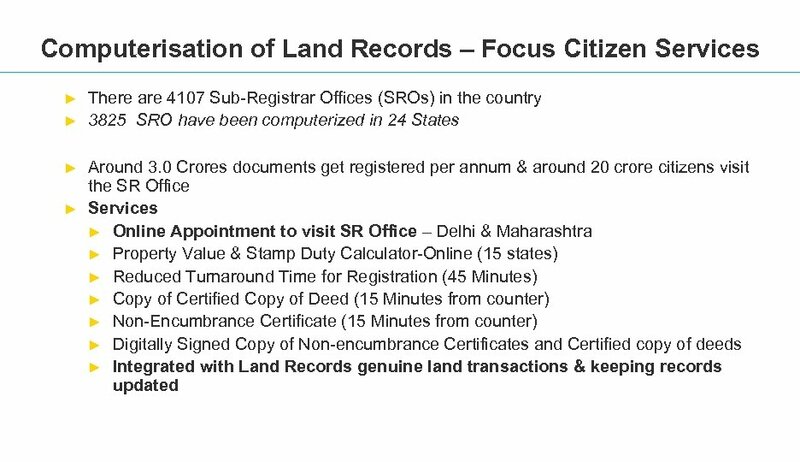 Karnataka has earned Rs 12 Crores per year. 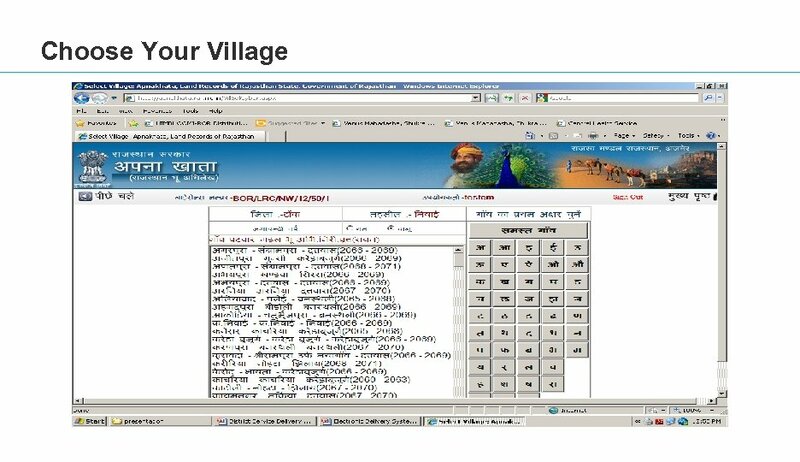 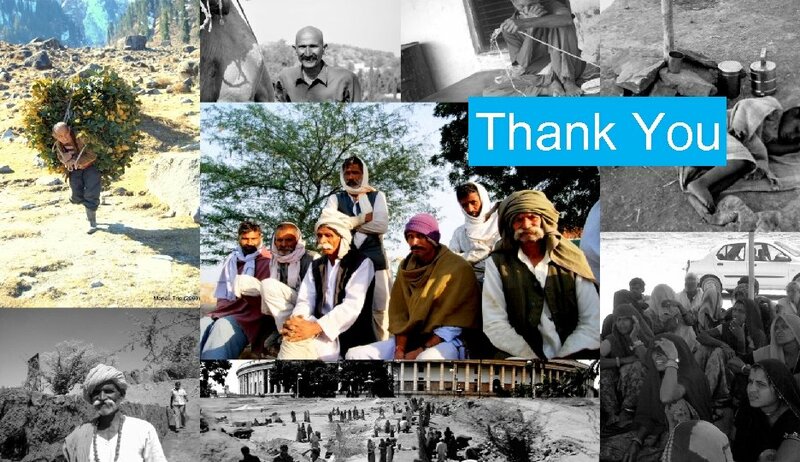 MP – 6 Crores, Per day Ro. 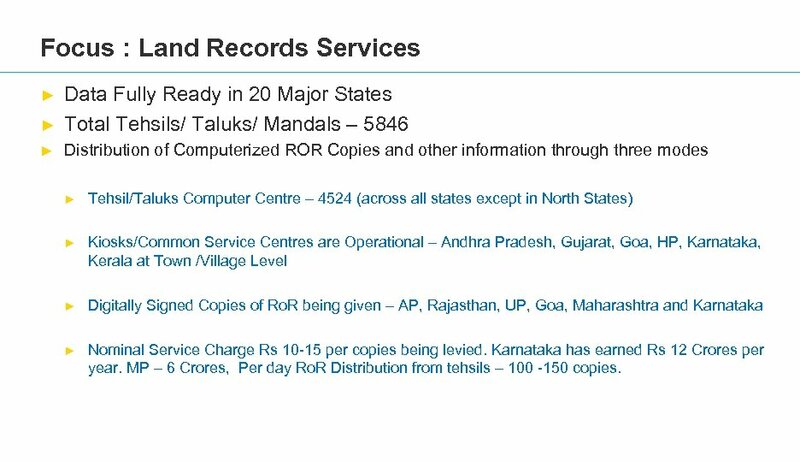 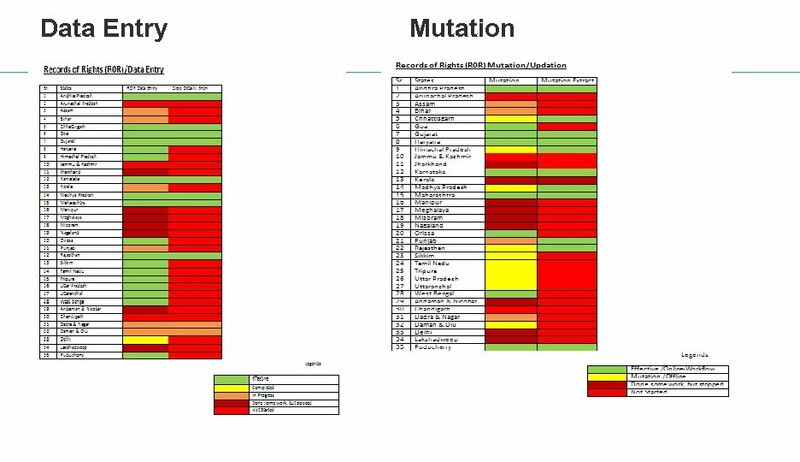 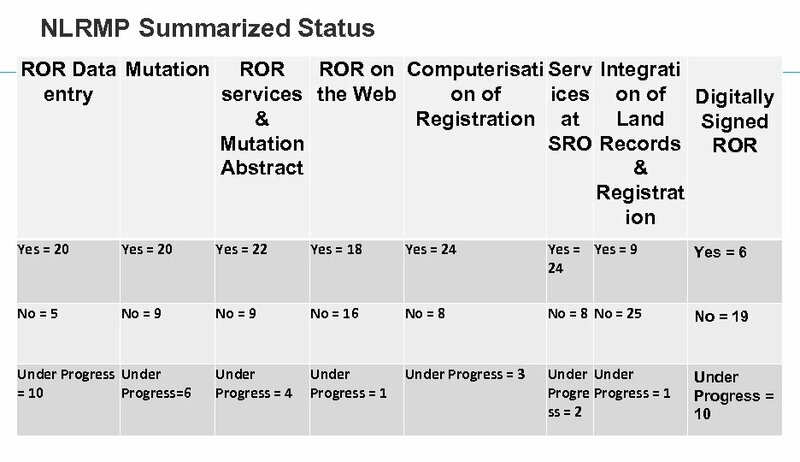 R Distribution from tehsils – 100 -150 copies. 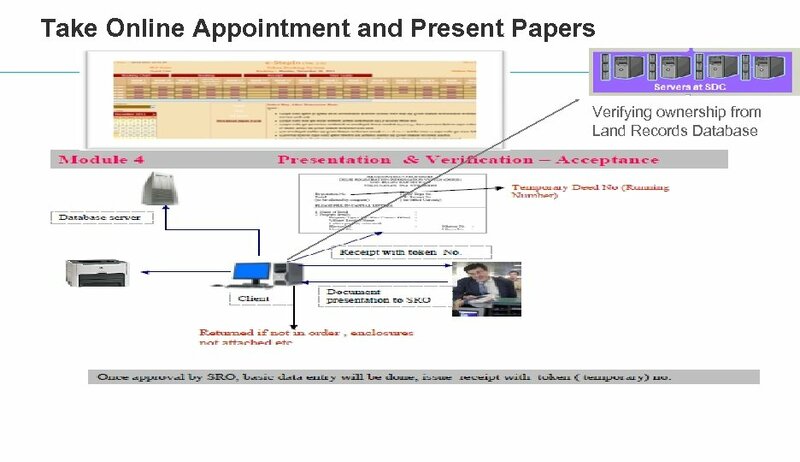 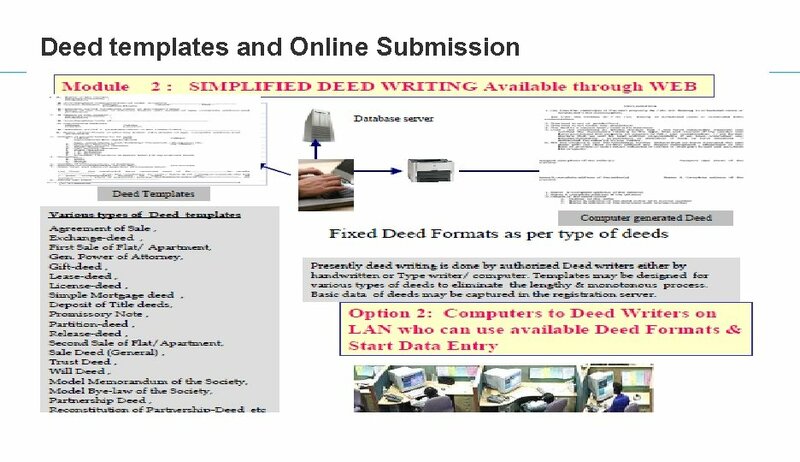 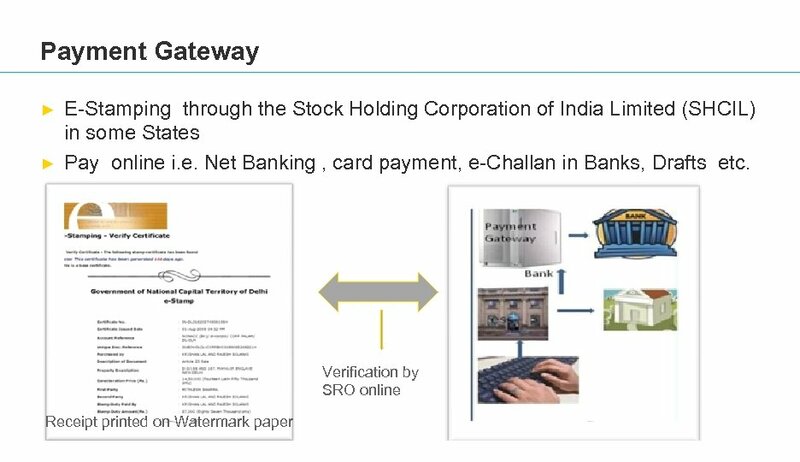 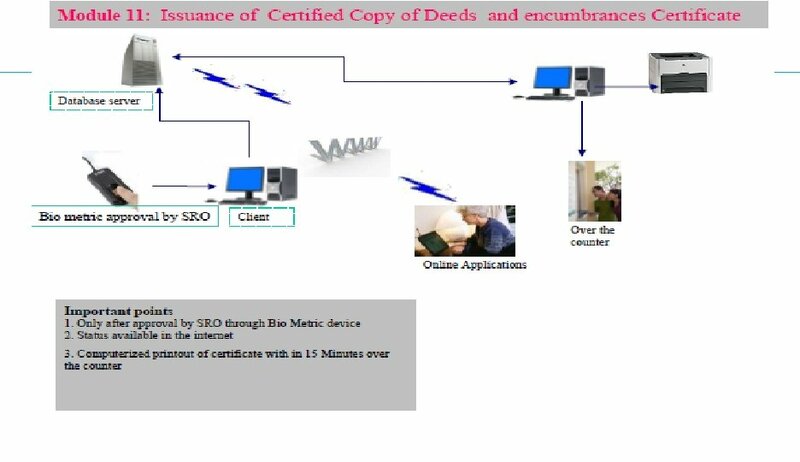 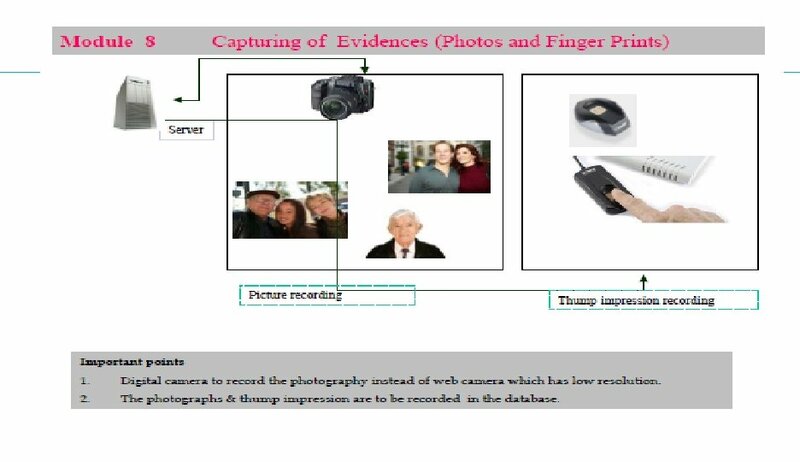 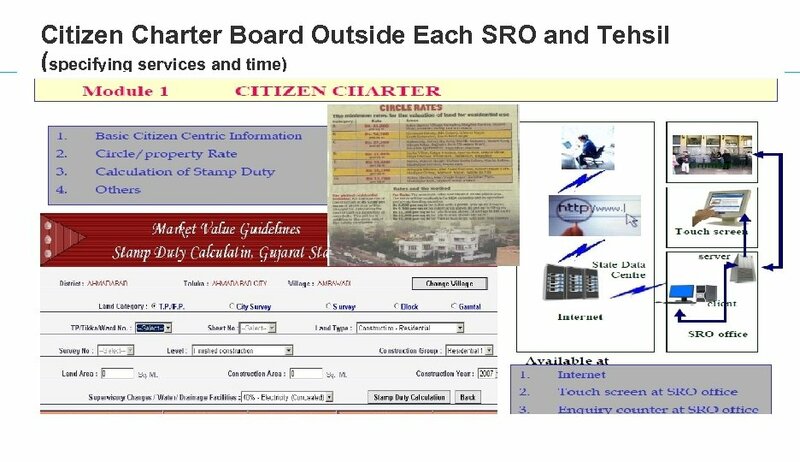 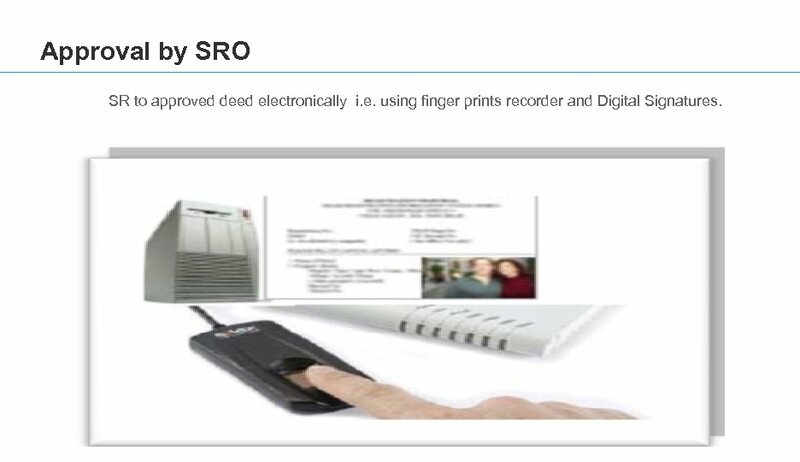 Approval by SRO SR to approved deed electronically i. e. using finger prints recorder and Digital Signatures.